In 2014, Sophie Hannah published The Monogram Murders, the first Hercule Poirot mystery authorised by the Christie estate. There was some cynicism afoot (coming up to the 100th anniversary of the creation of the character, one could argue that the estate needed to create a new Poirot work to protect the copyright on the detective himself – which will otherwise expire, ala Sherlock Holmes, long before the last Christie book does) but nevertheless there was justifiable enthusiasm from Christie tragics like myself. As I mentioned in my review at the time, the book had its strengths and weaknesses. A Hastings-esque narrative device that kept Poirot at bay for much of the book’s running time wasn’t great; on the other hand, Hannah’s revisionist approach to the seemingly picture-perfect villages of Christie’s writings felt both powerful and atmospheric. The mystery was quite complex, perhaps even occasionally outlandish, but grounded in a rich and tragic backstory, and the narrator – Edward Catchpool of Scotland Yard – had his own nuances that seemed to be hidden from even Papa Poirot’s eyes, but available to the astute reader. So how does the sequel hold up? 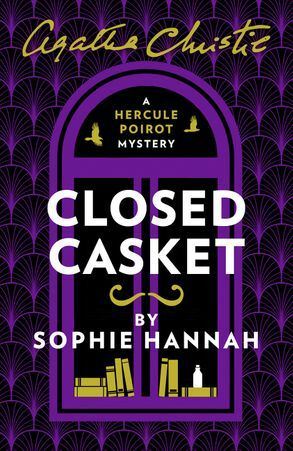 This post contains detailed spoilers for Sophie Hannah’s Poirot novel, The Monogram Murders. If you haven’t read the book, stay away. If you have read it, prepare to have your eyes opened. And, if you are Sophie Hannah, I apologise! I very much enjoyed The Monogram Murders, the new Hercule Poirot book written by Sophie Hannah and authorised by the Christie estate. Indeed, I started the book at 8PM on Christmas Eve, and finished it, bleary-eyed, as Santa Claus was sneaking down the chimney. While I found the denouement satisfying (if slightly outlandish), there was one clue that caught me earlier on which didn’t seem satisfactorily explained. I now suggest to you, ladies and gentlemen, that Hercule Poirot did not adequately solve the case, either out of lack of information, or possibly – just possibly – compassion. I might be crazy, but the circumstances of these murders are already quite odd, so what’s a little more craziness?